Jeuveau by Evolus is a new, FDA-approved injectable treatment that will erase the frown lines, glabellar lines, crow’s feet, and smile lines from your face. This cutting-edge injectable contains Botulinum Toxin A, a neuromodulator. Jeuveau will target the tight, overfiring or overused muscles holding a wrinkle in place. The neuromodulator will block signals from the brain, preventing the muscle from firing. Once Jeuveau is in place, the skin returns to a smooth, calm position. We take care to respect and complement our patients’ features for natural-looking facial restoration. Jeuveau will relax and revive the patient’s appearance for four to six months. Results can be prolonged for the long-term with maintenance appointments at Azar Plastic Surgery. 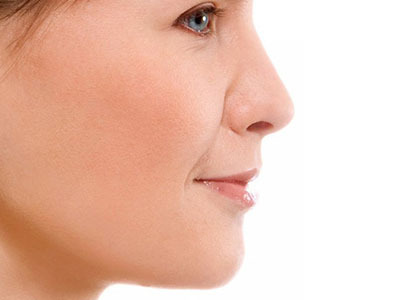 We are proud to offer Jeuveau as an alternative to Botox for our patients. Jeuveau also enables us to offer anti-aging facial rejuvenation at a more competitive price than ever! If you are interested in learning more about how Jeuveau will revive your appearance and reduce the signs of facial wrinkles, call to schedule a private consultation at Azar Plastic Surgery today.